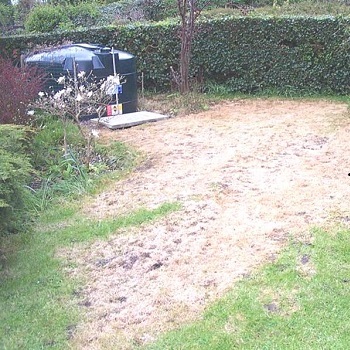 We’d like to remind householders with oil storage tanks to check them to avoid oil leaks. Oil spills from oil tanks at people’s homes are the most frequent source of preventable oil pollution in the UK. Information collected by UK environmental regulators since 2012 shows the number of leaks from domestic oil storage tanks is second only to oil losses from transport, for example during road traffic collisions. Oil leaking from your domestic tank could have a devastating impact on your home and the wider environment. In some cases people have had to leave their homes for weeks or months while the oil is dealt with, while a domestic oil tank spill in Wales resulted in the closure of a public water supply. The risk is higher if your tank is in a rural area where people have their own their own water supply, as oil can make the water unfit for use. We recommend people with oil storage tanks at their homes check them for damage or leaks monthly and have them inspected by a competent person every year. Underground feed pipes are also a source of leaks and these should also be checked regularly. The annual tank inspection and tests of underground pipes can often be made when the boiler is serviced. We’ve revised our ‘Get to know your oil tank‘ advice for owners of oil storage tanks. The risk that an oil tank will leak increases as both plastic and steel tanks get older. We recommend you pay particular attention to tanks over ten years old. Poor installation can also contribute to leaks – the tank must be fully supported on firm foundations with easy access for filling. See our advice to help you look after your oil.